Although I know what defines a "romance novel", I can never seem to stick to the rules. Dead bodies keep showing up! 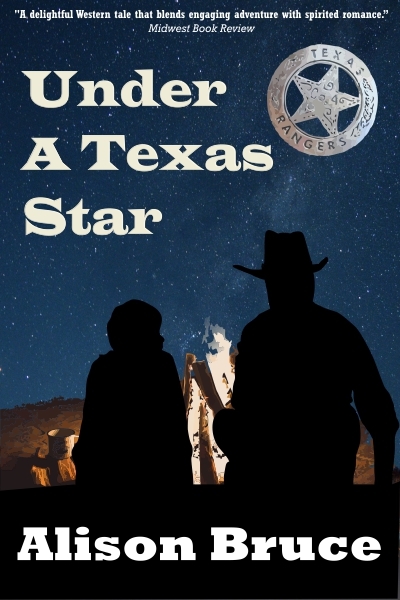 Take my first novel, Under A Texas Star, recently re-released by Deadly Press. 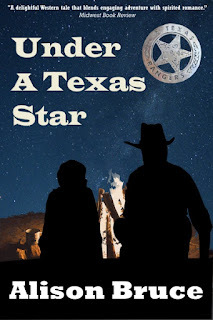 I started writing it as a Historical Western Romance. Then my characters rode into the town of Fortuna, Texas and the next thing you know, they’re sticking around to solve a murder mystery. I knew I needed to put an obstacle in their path and I decided it would be a dead body. A couple of years later I went back to the romance well and wrote half of Hazardous Unions with Kat Flannery. (To be re-released by Deadly Press in August.) Notwithstanding the Civil War politics, race ethics, and dark humor, I managed to hit the Historical Romance mark, but it was a near thing. If I had needed to write another 10,000 words, I’m sure it would have included murder. 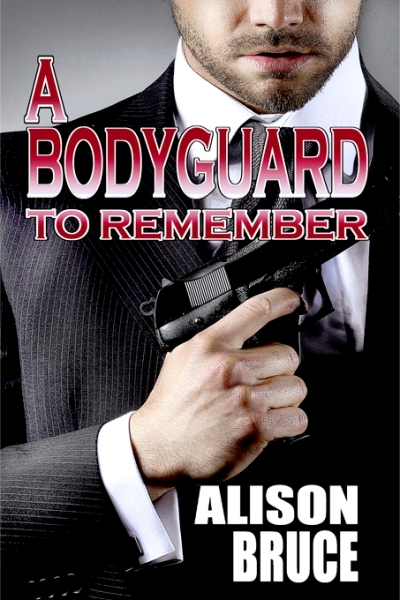 In A Bodyguard to Remember, released by Lachesis Publishing, my heroine finds a dead spy in her living room. In that case I set off to write a mystery but couldn’t resist adding a romance. In fact, I added three potential love interests, but my editor thought that was overkill so one of them ended up on the figurative cutting room floor (not the living room floor). My most recent book, Ghost Writer, combines romantic suspense with a thirty-year old mystery, Canadian-US tension and ghosts. It includes my favorite romantic hero. It’s sad but true that for a while I was jealous of my own heroine. As an author, I have no problem mixing mystery and romance with whatever other genre I’m writing. As a reader, that’s what I prefer. I grew up reading Georgette Heyer’s historical romances. My favorites were also mysteries, comedies or both. My favorite mysteries and thrillers included a romance. To me, the genres go together like bread and butter, or butter chicken and naan. Sure you can have one without the other, but it wouldn’t be as satisfying. Alison Bruce writes history, mystery and suspense. Her books combine clever mysteries, well-researched backgrounds and a touch of romance. Her protagonists are marked by their strength of character, sense of humor and the ability to adapt to new situations. Four of her novels have been finalists for genre awards. Find all her books on Amazon.com. Welcome to Romancing The Genres, Alison! I can relate to the "jealous of my own heroine!" There are times I sigh at the scenes I write however, my heroes also have the flaws that I don't care for in real life, especially the arrogant I know better than the little lady attitude that raises my hackles even today. 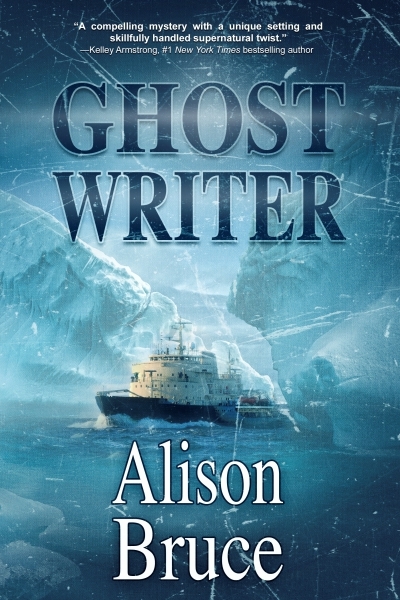 Your Ghost Writer cover is awesome! Enjoyed your post! Your books sound great! How did the spy end up on the living room floor? It's finally cool enough to boot up my poor old laptop again without it over heating. And what lovely messages to find when I do! Lynn and Diana, I hope you pick up A Bodyguard to Remember and learn the truth about the body on the floor. Of course, if you love a romance, you'll also want to find out how Pru's bodyguard keeps her from being a body of the floor too. Judith, I never let a "I know better than the little lady" sort get away with it for long. My mother and her sister would be rolling in their graves if I let that happen. They came up against that all to often in their daily lives. My aunt was a driver mechanic in WWII and she knew exactly what was wrong with her car when she took it into the garage. Woe betide any mechanic who tried to tell her it was something more costly. Alison, Dead bodies are good. LOL I can't get away from fist and gun fights in my westerns. It takes all kinds of writers to feed the voracious readers. Good post, thanks for guesting!